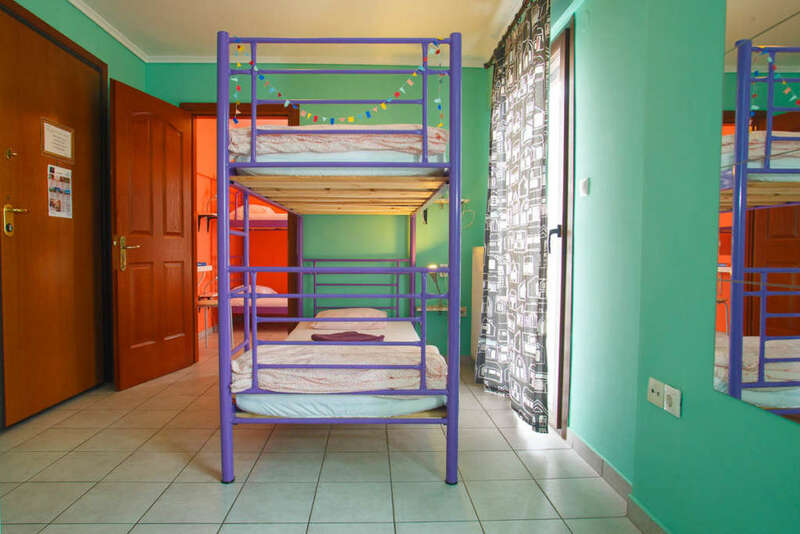 This is a colorful 4-bed mixed sharing dormitory set on the second level of the second floor of the building, accessible by stairs. 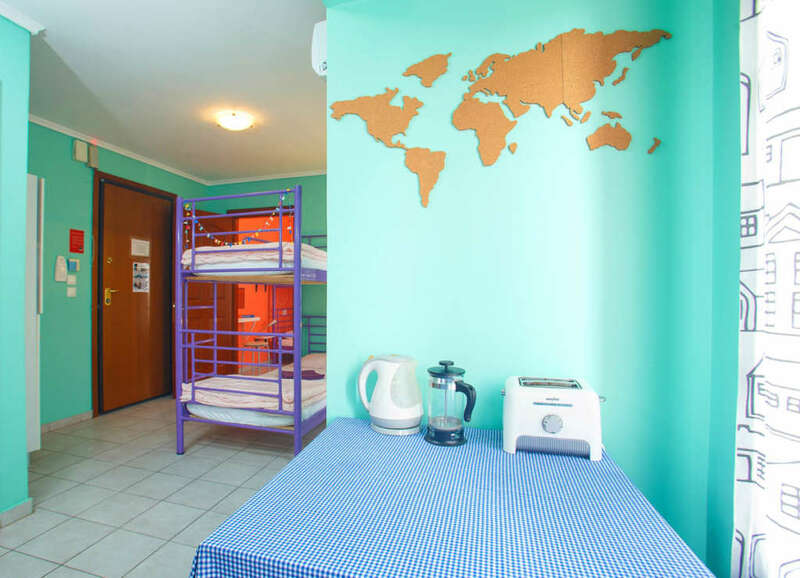 This room has two bunk beds with comfy mattresses and one dining table with chairs. 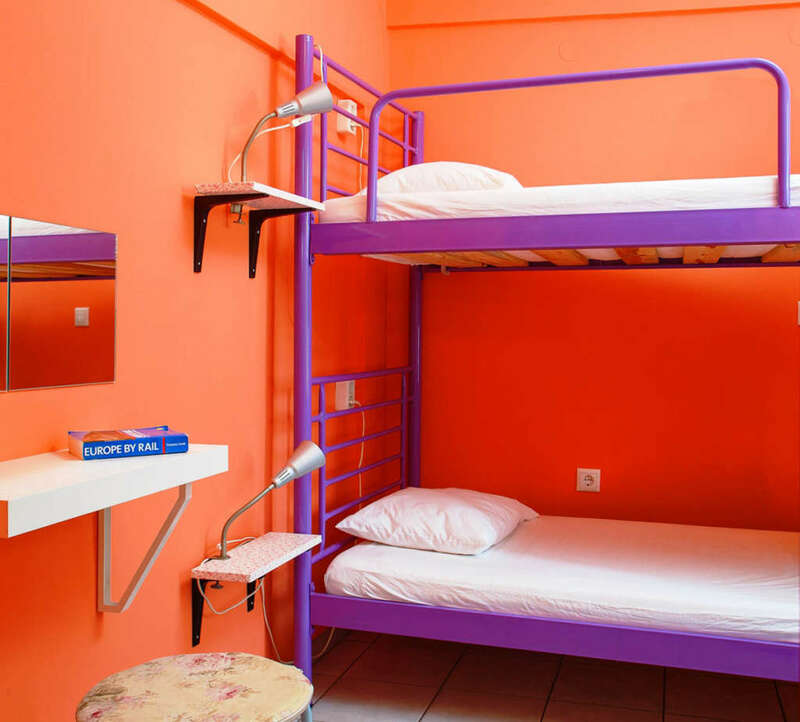 Each guest has one large, individual locker, a reading light and electrical outlets. The room has a balcony, overlooking the famous Byzantine City Walls.